To our studio, Marfa’s special culture offers retreat as well as new perspective with each visit. This year we aligned a trip to the dusty town with an annual design conference, which allowed us chance to tour homes and visit some of our favorite people. 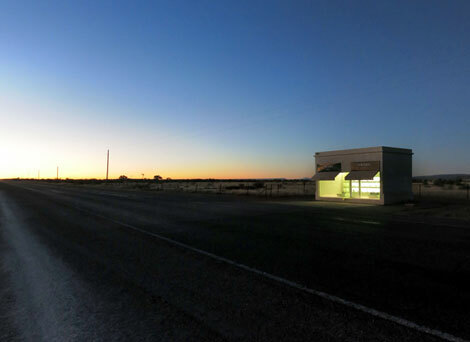 The conference itself, Design Marfa included a symposium with a diverse batch of lectures that gave voice to local community development and individual artists who are connected to the place. Architect Melissa McDonnell spoke about restoring the Collie House, a traditional adobe and one of the oldest structures in town. The two story building was at one time under ownership by Donald Judd and without a doubt has caused many passerby to pause and question its story. Another favorite speaker was George Sacaris a talented metal artist whose work is anchored by a passion for craft. We were familiar with his metal cabinetry and installations found in the works of interior designer and friend Barbara Hill, the two have collaborated on beautiful custom metal pieces both in Marfa and Houston. Since it was Devin’s first visit, Judd was naturally on our agenda. Touring Chinati and Judd’s studio gave light to his work and his role in this place. As an artist he shows no compromise in his vision for pure sculptural forms and expression. To experience the pieces in their intentional setting is revealing of the work itself but also of the deprivation one has seeing his work as a stand-alone in a museum far away. As a host in Marfa, he managed to surpass imaginable possibilities an individual can make to a small American town: no local integrity is taken away, only his treasures are added with mutual humility for the vast landscape and existing old industrial buildings. It’s also important to note the communal quality to Marfa, where you will often run into the same people all around town. There is an open-arms nature to the place and a feeling of security that gives one a sense of confidence. Whether it’s inspiration from Judd or connection to the free spirit of the place, there’s a shimmer of freedom here, it is the wild west after all.